Wow! Wonderful, private lot home on 10 acres! Detached 1,440 sq ft garage, attached 1 car garage. 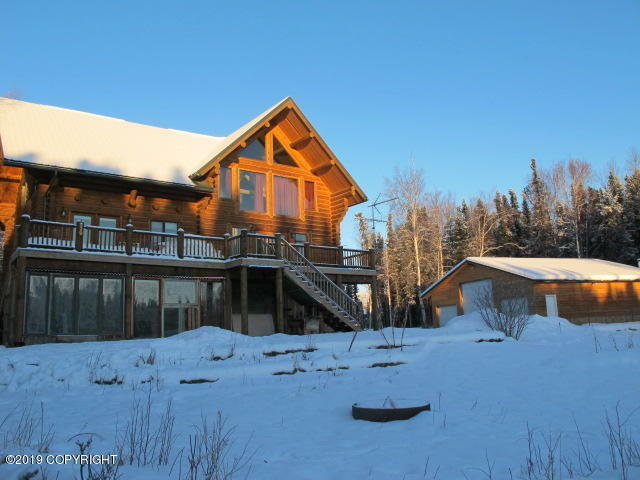 Very hard to find custom built log home! Open loft concept, lot rails, stairs. Mountain views. Cabin on site as well. This property may qualify for Seller Financing (Vendee). BTV All info.